Welcome to Love That Olive. 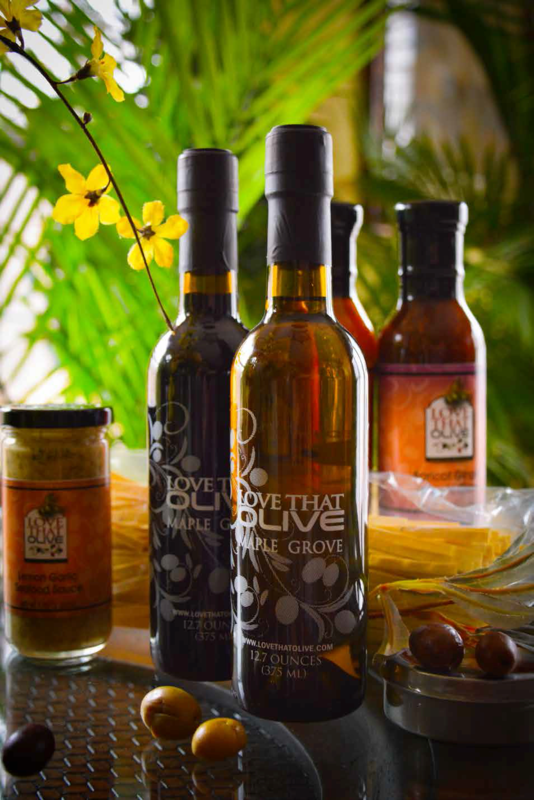 It is our pleasure to bring you some of the finest Italian Extra Virgin Olive Oils and Balsamic Vinegars available. We have been tempting local and global foodies along with novice cooks since 2010. You can experience the taste of Italy without leaving home. Our grower, Mr. Adriano Mantova’s expertise spans more than four generations. His dedication to traditional Italian techniques is the secret key to creating the premium extra virgin olive oils we offer to you. Love That Olive offers innovative, unique, high quality products. We are continually searching for new and exciting specialty gourmet food products and gift items. We specialize in incorporating innovative new items and old favorites to meet the desires of our customers looking for healthy, flavorful recipes to serve their family and friends. Our goal is to have your friends and family ask: “Mi dai la ricetta, per favore?” - Will you give me the recipe, please?